Tropical storm Florence threatens east coast. "Muggy Meter" is gonna get really high readings. This model, the FV3-GFS is complete DOOM for North Carolina. I just got off the phone with my kid and told her to stock up just in case. But, as we have all learned from the Marxists pushing "ZOMG!!! Something, something Man Made Global Doom, something, something you don't believe in our religion." is going to destroy the earth in 2012 - predicting the weather is damn near unpossible. NAVGEM model spells doom for Bama and northern Flordia. Should know tonight or early tomorrow the exact track apparently as the models are finally mostly in agreeance. Lucky it got the **** beat out of it the last two days or it would've been even worse. Im 80 miles from Myrtle Beach so if it stays on course all i get is some rain and wind.....I cant remember the last time it rained in Darlington. 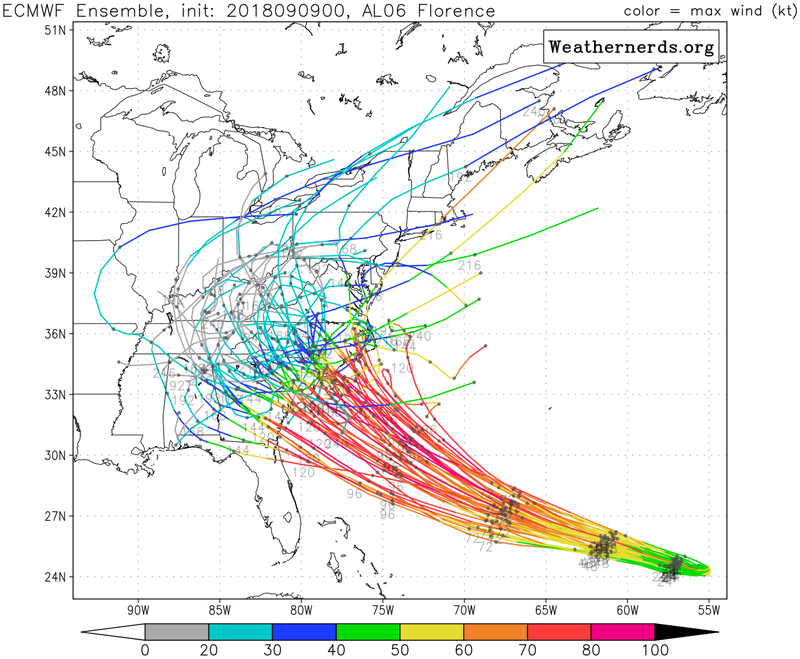 Latest models still show Florence hitting the Carolinas and maybe Virginia. Nobody had better have any vacation plans for Myrtle Beach this week.